My Girls™ Skin Care cream is pleased to distribute samples to participants of the second-annual Pink Pumpkin Pedal-off charity bicycle ride scheduled for Saturday, October 12th in Gainesville, Florida. The ride, established by Barb Wills, a member of The Collaboration of Scientists for Critical Research in Biomedicine, or CSCRB Inc., a Gainesville-based nonprofit group and fellow CSCRB member Barb Thomas, benefits research at the University of Florida Shands Cancer Center on treatment-resistant breast cancers. Ms. Wills and Ms. Thomas were both deeply affected by the disease -- at the age of 7, Wills lost her mother to breast cancer and Thomas is a breast cancer survivor. These experiences led the women, both of whom are avid cyclists, to establish the Pink Pumpkin Pedal-off charity bicycle ride in 2012. Since hospital sampling began in 2008, My Girls™ Skin Care cream has developed a following among radiation oncology RNs and breast cancer patients and will be included in the Pink Pumpkin Pedal-off event goodie bags. Its unique formula contains Calendula, regarded as an effective topical agent on the skin side effects that often result from radiation therapy based on an evidence-based study on topical agents conducted in 2011 by the Oncology Nursing Society. "So far, just one patient has used My Girls™ Skin Care cream and she absolutely loved it. This cream worked wonders for her. Her skin literally healed up overnight. The redness, discomfort, and itchiness were relieved immediately. In her words, "the cream is so soothing" and she liked that it's non-greasy too. Presently we are providing Aquaphor for our patients, but I'm working with the staff and our manager to order My Girls Cream as an option for our patients." St. Francis Hospital, San Francisco. Radiation oncology patients like My Girls™ Skin Care cream because it spreads easily over delicate skin and is made without parabens, fragrance or dyes. It is recommended that patients undergoing radiation therapy always consult their healthcare provider before trying a new topical agent to treat radiated skin or adding other interventions into their routine. About My Girls Skin Care cream My Girls™ Skin Care cream is formulated in Hungary and distributed by Radiant Sun, a company launched in 2008 by a breast cancer survivor to help others maintain the healthy appearance of their skin during and after treatment for cancer. 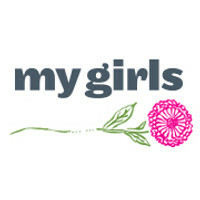 For additional information on the release or to request samples, visit www.mygirlscream.com, telephone: 508-380-9300.